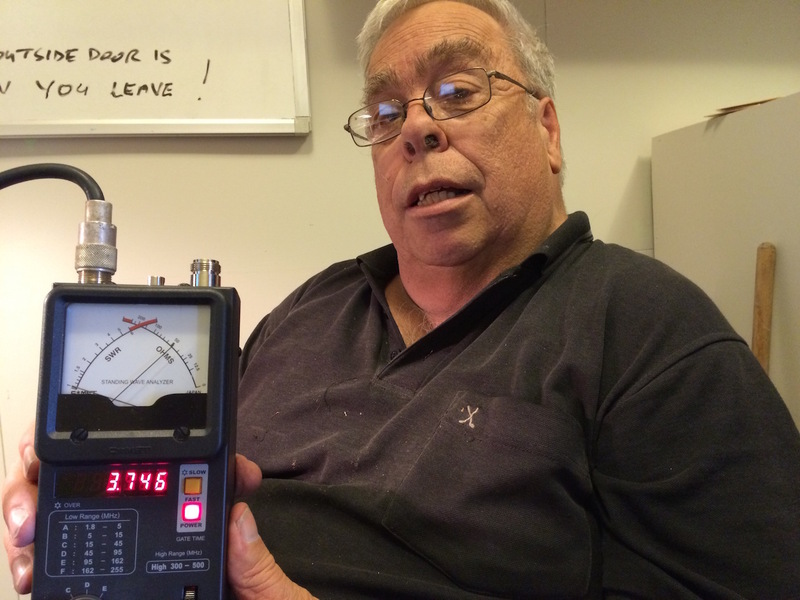 The 2015 Jock White Field Day is fast approaching at the end of February and Mike ZL2VM needed the 80/40 Trap antenna at the club to be working properly. It had a very low resonance on 80M and was not all that high in the trees. President Laurie, ZL2TC volunteered to make repairs and Lee ZL2AL volunteered his trusty spud gun. Wally, ZL2MO was also available for the morning and decided to join the party. His help as 2IC of the spud gun patrol was most valuable. We arrived around 9AM thinking it would be over in a few hours. Antennas don’t work that way. After hauling down the antenna we decided to put both ends up much higher in the trees and also change the feedline to a heavier version in anticipation that the our Linear Amp would be fired up and in the system some day. Five hours later the antenna was back up much higher in the trees, resonating almost 1:1 at 50 ohms on both bands with a new feedline and connector. It will be interesting to see what Mike and the team using ZL2GT Branch 99 (Home Station) will be able to achieve in the contest. Lee, Stan, John ZL2QM and Wayne ZL2WG will be operating ZL2G Branch 25 from the ZM4T Contest site. Wally ZL2MO, Bert ZL2OC, Revell ZL2SS, Peter ZL2CD, Dave ZL2DW, Rob ZL2US, Jan ZL2CZE and Karl ZL1TJ. Minutes of the previous meeting were read and confirmed correct: ZL2MO, ZL2TC. Arising: Wally: polycarbonate panels for the front porch on hold till painting completed. Clubhouse interior now further enhanced with new lino in the kitchen and storage shelves relocated. Once again Wally was thanked for the many hours he has given to the club over recent months. Correspondence: Notice of the Te Puke annual sale, letter from the Hastings District Council regarding the District Plan meeting on January 21, a thank you note to and response from Korin Tsuruta ZL2PGJ, quotes for new gutters around the clubroom. General business: Dave ZL2DW and Rob ZL2US reported on attending the Hastings D.C. Meeting on January 21. Council insisting that aerials etc. are part of Building Construction while Branch 13 submits that aerial structures are more aligned with Network Utilities. Council staff did not appear to have studied the issues adequately and do not seem to understand the need for adequate antenna hight. No significant progress was made. Dave ZL2MQ reported on the participation by the Moon bounce boys tracking an experimental Moon orbiter launched by the Luxemberg based ‘LuxSpace’ organisation. Dave’s submission of tracking data placed him no.6 on a worldwide basis and earned him a prize for his efforts. 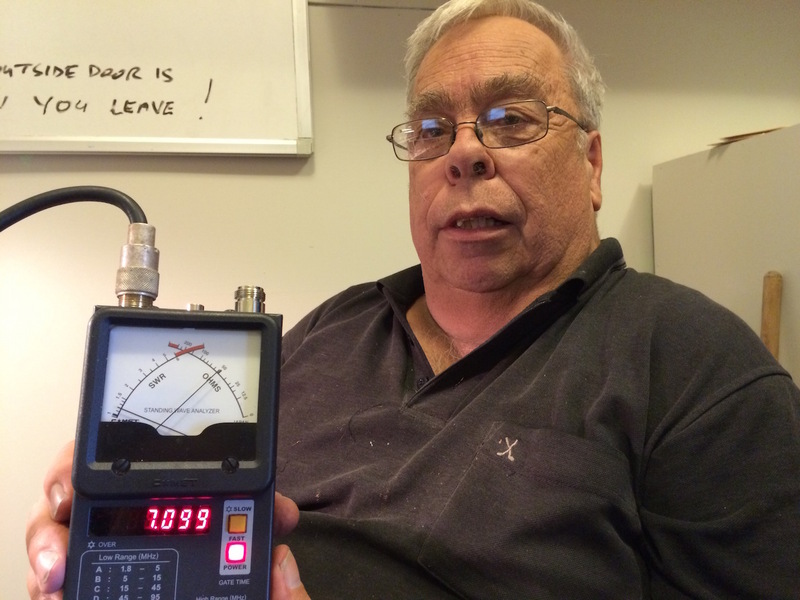 Lee ZL2AL brought up the concept of a stand alone Hawke’s Bay amateur radio disaster backup communication network. This has been discussed before and Rob ZL2US suggested basic frequencies and procedures in a short article in the Breakout of 3 March 2012. Lee, having discussed the idea with Laurie and Mike ZL2VM, said that the previously strong link of AREC with both SAR and CD is now no longer there. A Hawke’s Bay wide network of radio hams called the ECI Net It would in the first instance be for the purpose of supporting fellow members in case of natural disaster but may also be available to authorities as a communication network ‘of last resort’. Lee put the questions ‘Is this worthwhile’ and ‘Will it work’? All present answered yes to both. It is proposed to set up a (short) net, say the 3rd Thursday of each month where a controller will call for log ins on both VHF and HF. Records will be made and recorded of the availability and status of participants’ equipment. The controller function could rotate to ensure ongoing participation and work sharing. Frequencies: local repeater “670” and HF 3615 Khz on 80 m. These frequencies and brief instructions to be added permanently to Breakout. Jan suggested a booklet of a few pages to be kept in a prominent place in the shack. Lee explained this year’s club project, a four port remote antenna switch. These switches reduce the number of coax cables into the shack and make antenna switching quick. Commercially available for $200 to $350, the proposed high quality kits would sell for $150 or so. Circuit boards available from CZE land. Parts for 20 kits are to be ordered. Other general business: Errol donating a vintage Marconi receiver to the club, Rob going to the Palmerston North club Waitangi day picnic ( has spare seats), Lee: NZ licence valid for 6 months only in Canada and possibly other countries for permanent residents? 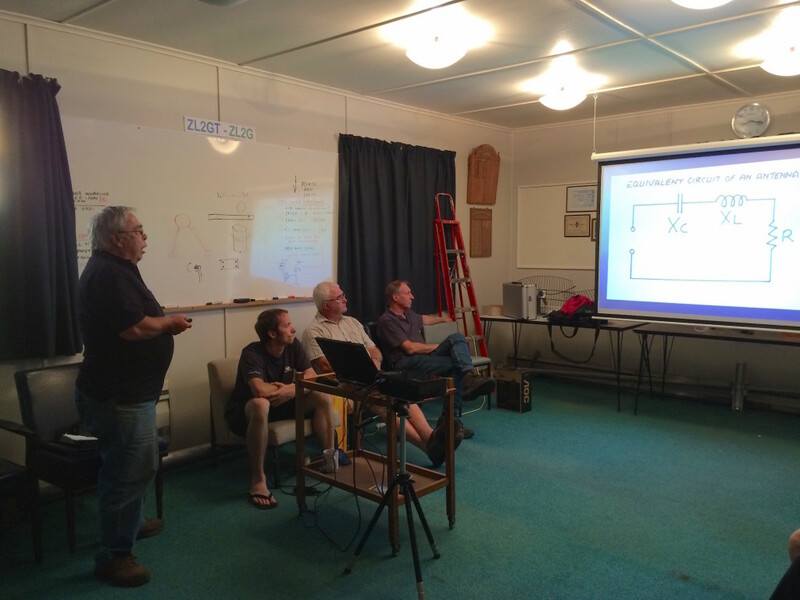 Followed by Laurie explaining the mystical behaviour of antennas, reactances, impedances and how to measure these quantities using the Antenna Analyzer. Good clear diagrams and down to earth explanations made the talk another good one.